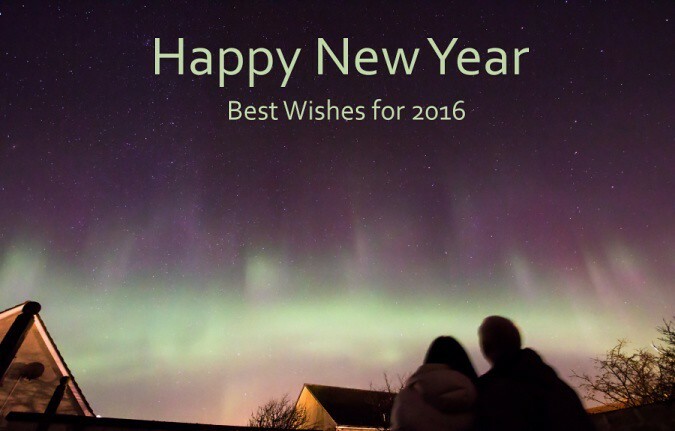 The above photo shows the view from the CAG Chairman's back garden in Thurso as 2015 became 2016. 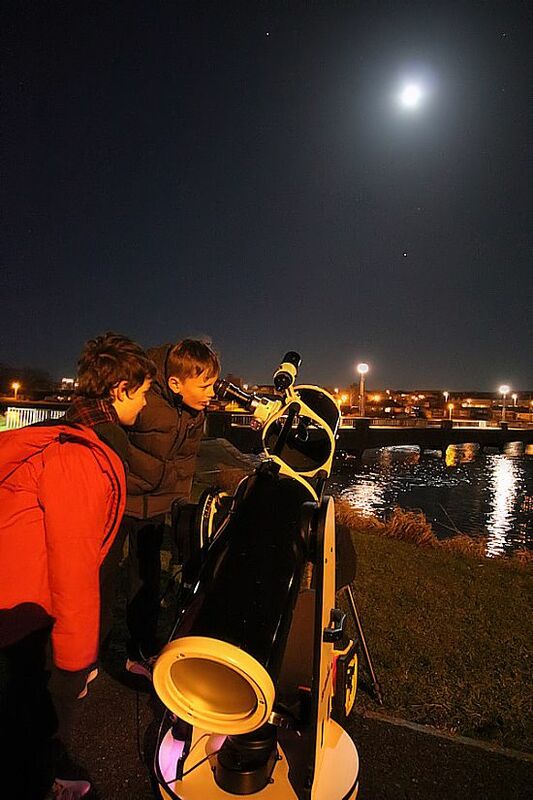 The International Year of Light celebrations are over and we hope those that attended the many varied local events during 2015 enjoyed them. 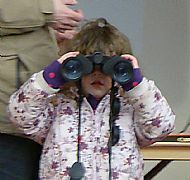 Especially the ones where CAG were involved. 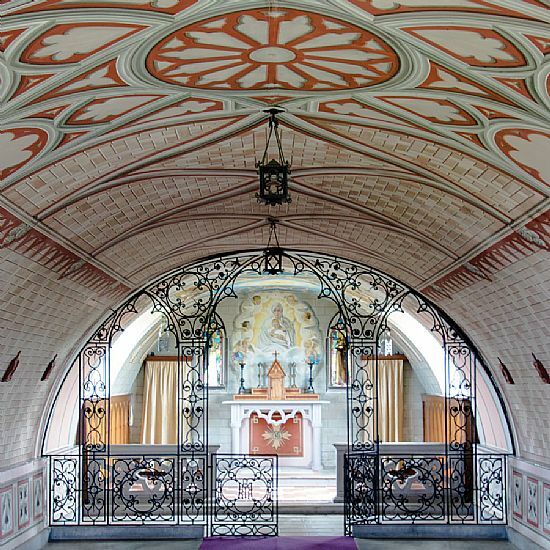 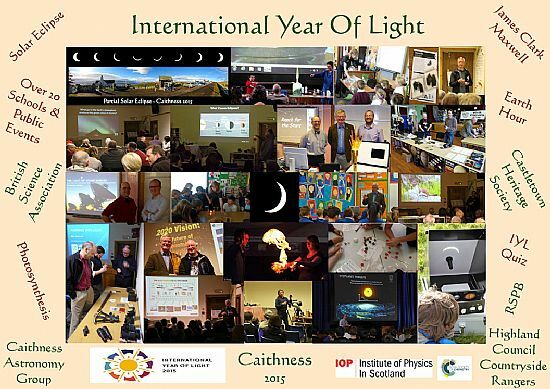 CAG have many more events linked to Light coming in 2016 - we hope you can make it to some of them. 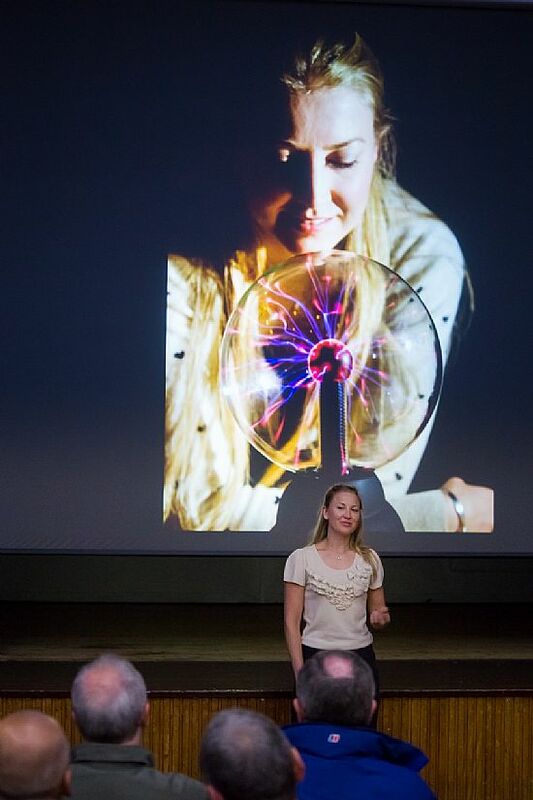 A big thank you to the Institute of Physics in Scotland and the Royal Society of Chemistry for providing funding for the events. 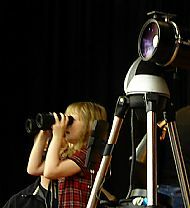 An extract from the funding report can be found in the CAG document library. 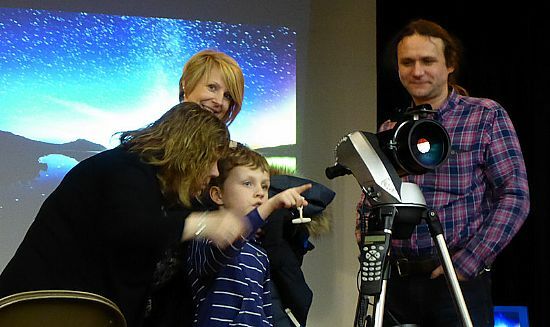 Timed to coincide with the BBC Stargazing Live programmes, CAG held a public event with indoor talks, outdoor guided tours of the night sky and the chance to observe and photograph the Moon through our telescopes. 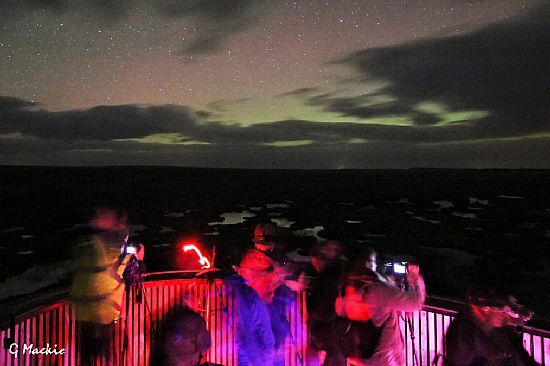 Thankfully the weather was kind and permitted all who attended to enjoy views of our universe from the Castlehill Heritage Centre - the UK's most northerly Dark Sky Discovery Site. 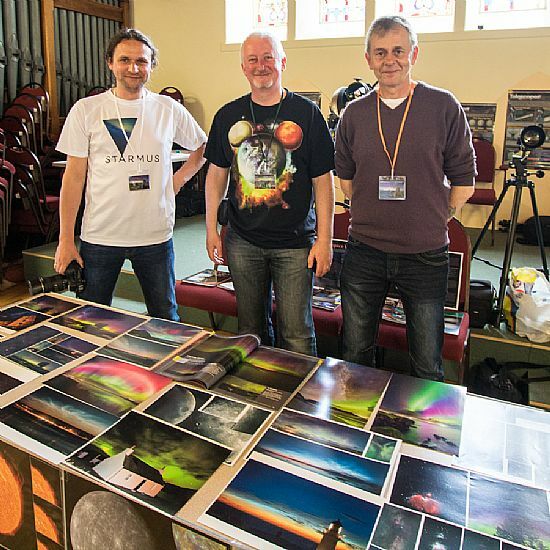 As an added bonus there were a few astronomical goodies to be had including some produced by CAG members - space themed chocolates made by Ruth Falconer/Caithness Chocolate, a calendar with stunning photos by Maciej Winiarczyk, and a BBC Sky at Night book that contains a photo of star trails over Thurso Castle taken by Stewart Watt. 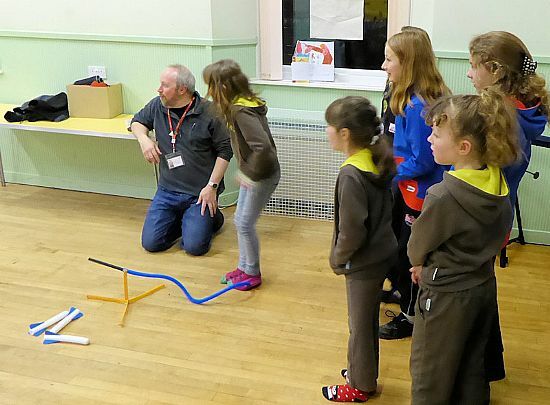 Clear skies allowed Chairman Gordon Mackie to do some stargazing sessions with local Cubs and Scouts Groups. 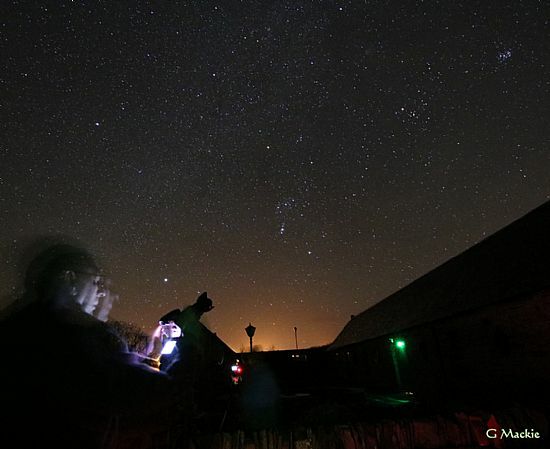 A full programme for the evening saw Chairman Gordon Mackie start off with a news update and details of the best star clusters to observe at this time of year. 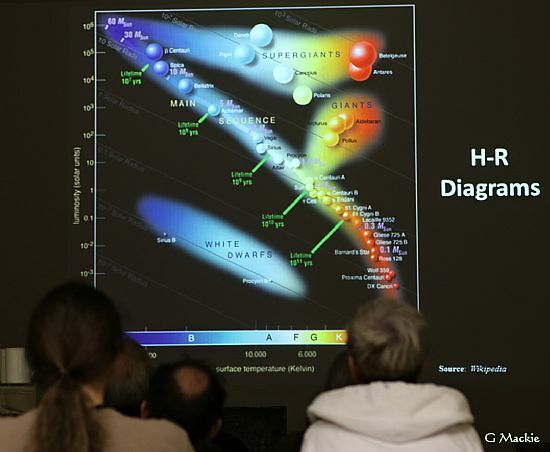 Then Mike Lunan explained H-R diagrams, which are a key tool for astronomers, perhaps comparable to what the Periodic Table is for chemists. 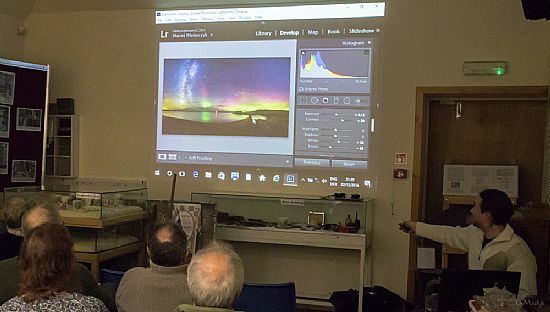 .....before Maciej Winiarczyk and Gordon Mackie guided members through the use of simple motorised mounts that they have for taking long exposure images of the night sky. 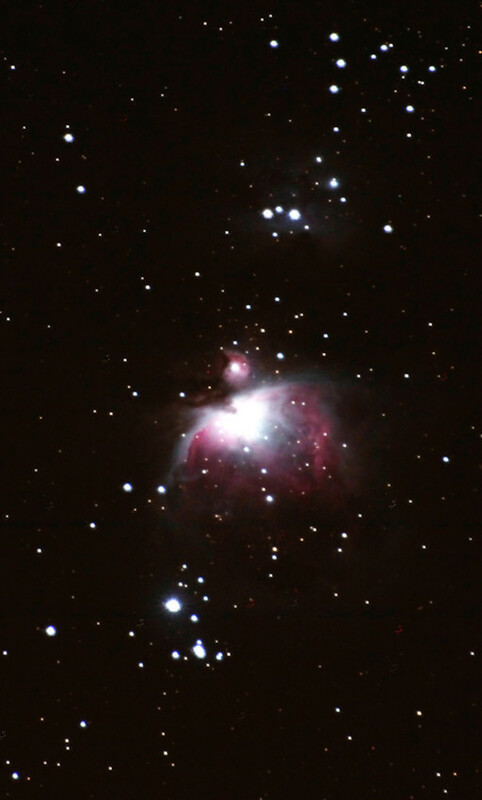 Thanks to the skies clearing at this point members got to venture outside under the dark skies at Castlehill and observe various objects through telescopes, and take long exposure images of the Orion Nebula and the Pleiades. 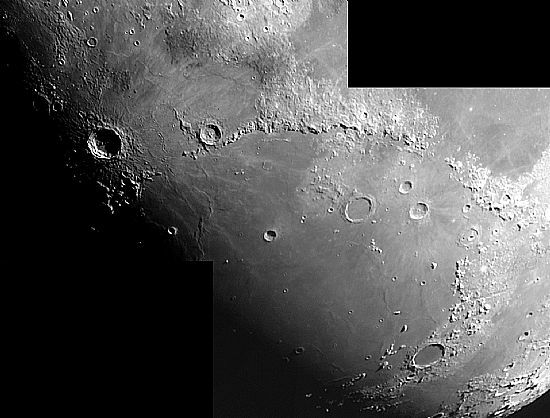 The above image was obtained by Alan Kennedy with his DSLR and long focal length lens (with tuition from Maciej using his motorised mount). 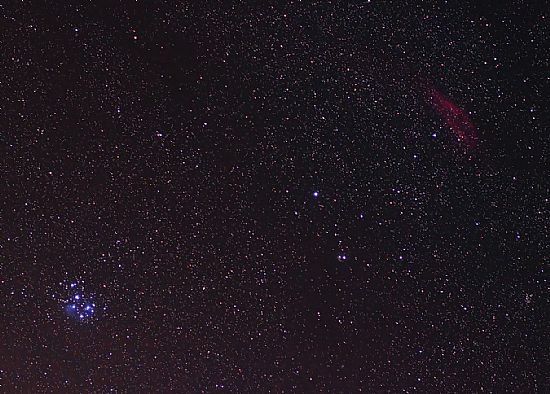 The above widefield image of the Pleiades star cluster and the California Nebula was taken by Gordon Mackie using a Skywatcher Star Adventurer motorised mount. 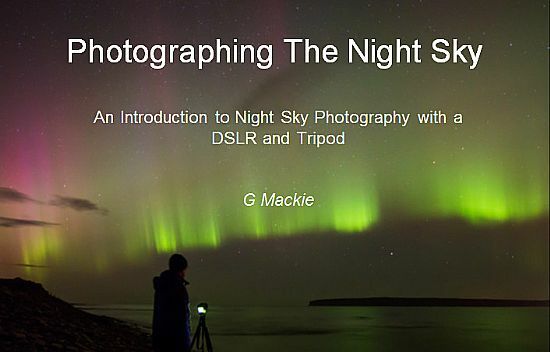 Recent increase in interest for taking photos of the aurora and night sky in general has meant that CAG have received requests from camera clubs across the Highlands for talks on carrying out this type of photography. 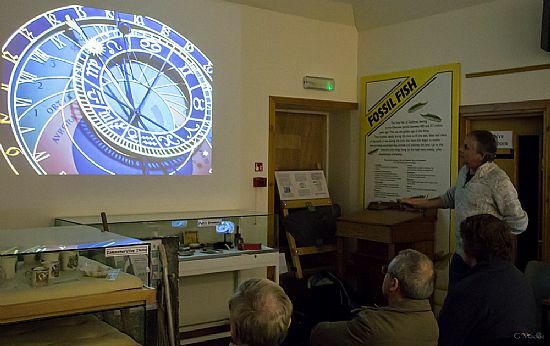 So far talks by Chris Sinclair and Gordon Mackie have been carried out at Thurso, Dingwall and Inverness camera clubs, and more are scheduled for the future. 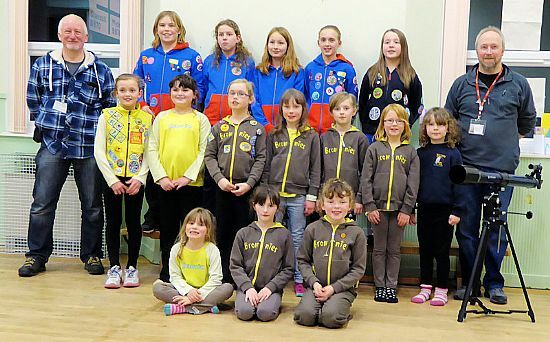 Membership for 2016 was set at £15 for adults and £25 for family membership (the same as last year). 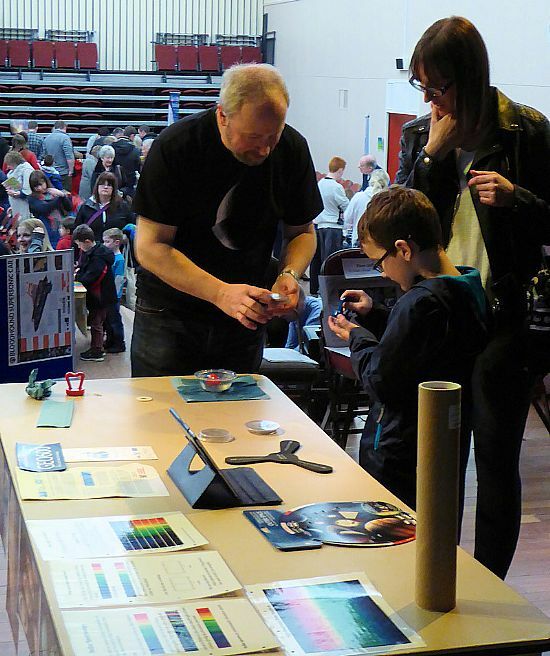 It was a busy day with lots of folk attending. 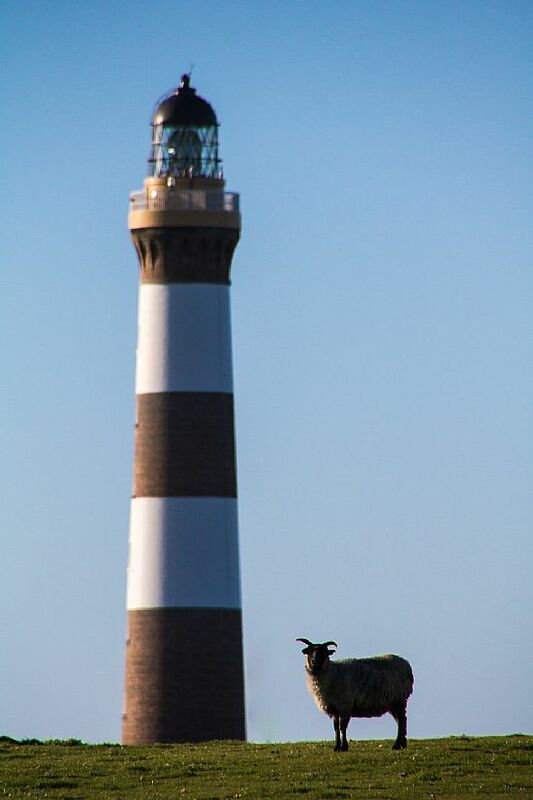 Below are a few pics taken during quieter spells when the stage area wasn't full. 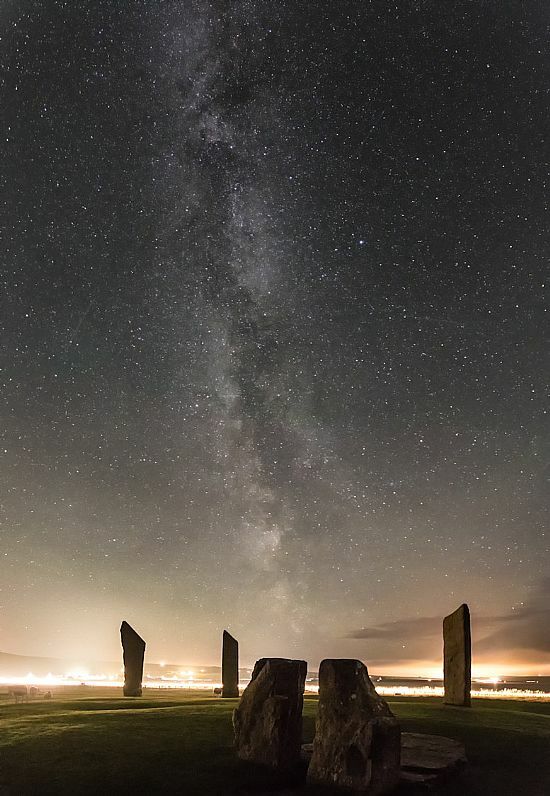 "Sun, Moon & Ancient Stones"
Guest speaker Douglas Scott, author of "Watchers of the Dawn", has spent over 30 years studying the relationship and alignments of more than 100 prehistoric Scottish standing stones and burial cairns to the sun and moon. 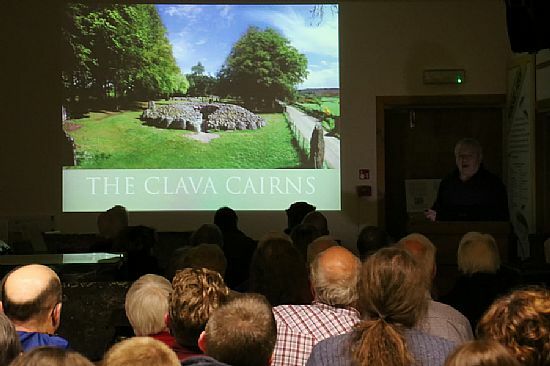 In his talk he enthralled the large gathered audience with an informative and entertaining presentation full of images and diagrams from a selection of ancient sites in northern Scotland. 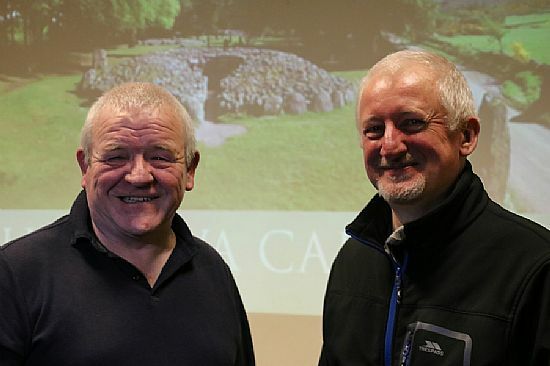 Above image of Douglas Scott and CAG Chairman Gordon Mackie was taken by Jim Johnston. 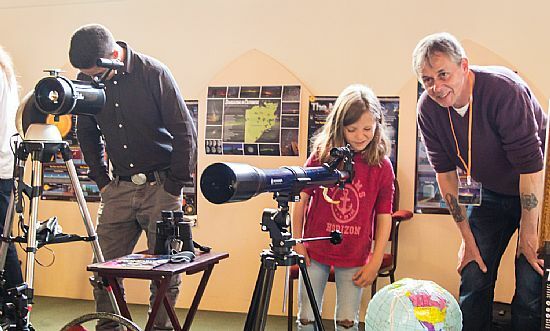 To kick off a weekend of public events culminating in the Transit of Mercury, reknowned amateur astronomer Denis Buczynski made a return visit to give a talk about newsworthy comets observed through the ages. 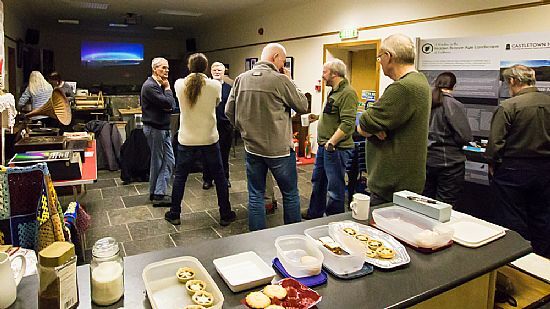 Those attending this public event at Caithness Horizons heard a talk by CAG Chairman Gordon Mackie on meteorites (space rocks that have fallen onto the Earth's surface. 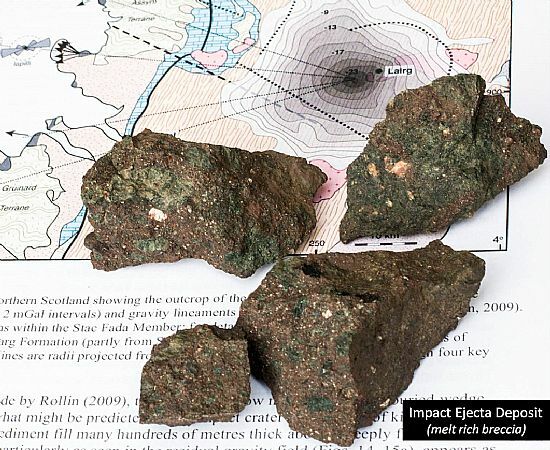 They also got the chance to handle and view in detail a selection of meteorites, including a carbonaceous chondrite believed to be a few hundred million years older than the Earth. 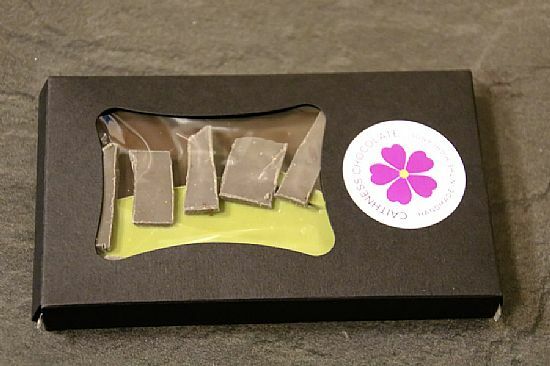 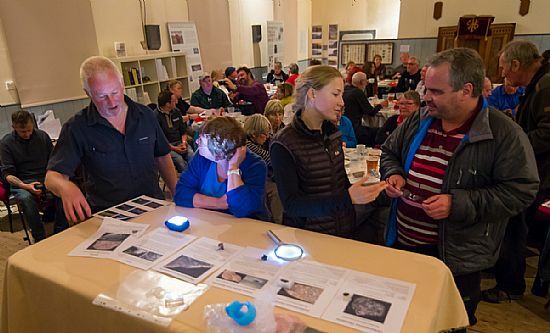 CAG would like to thanks the Royal Observatory in Edinburgh for loan of some of the meteorites used at the event. 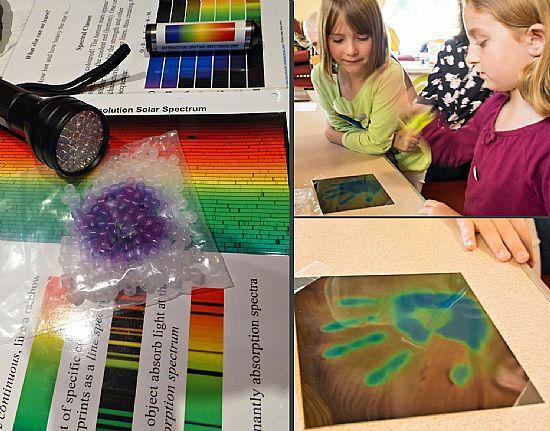 Before the planned lengthy observing session watching the Transit of Mercury, CAG members Gordon Mackie and John Hilton paid a visit to Pennyland Primary School to carry out a Mission Starlight UV protection experiment with P5 pupils, and talk about space rocks with P7 pupils. 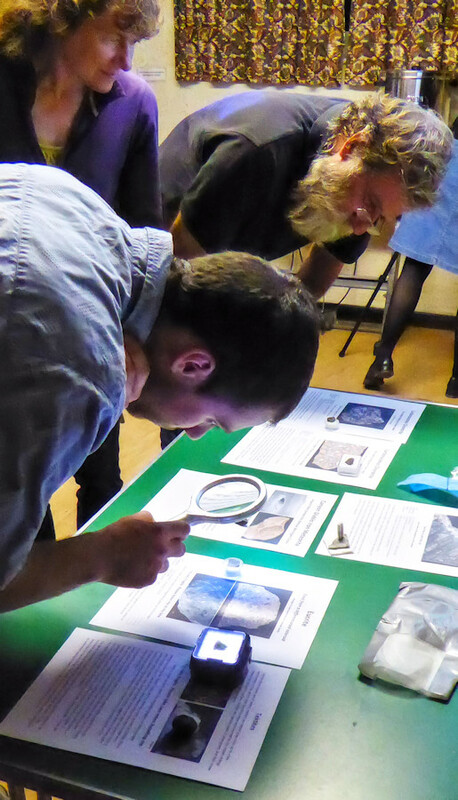 During the latter session the pupils got the chance to see and hold a range of meteorites. 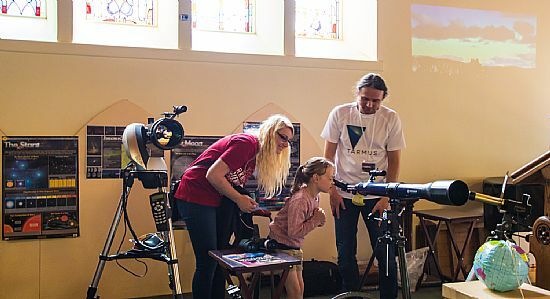 CAG Members workshop covered a range of topics and activities including Telescope/ Equipment demos, high frame rate solar, lunar and planetary imaging, The Apollo Image Database. 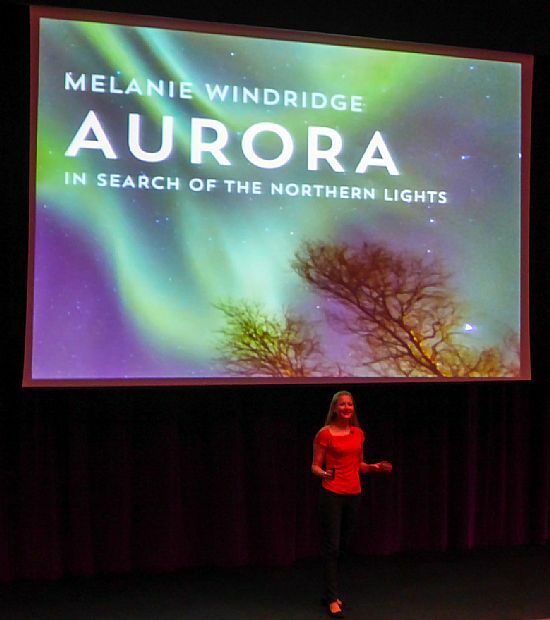 The first CAG event following our short summer break saw a welcome return to Caithness by plasma physicist, lecturer, writer and adventurer, Dr Melanie Windridge. 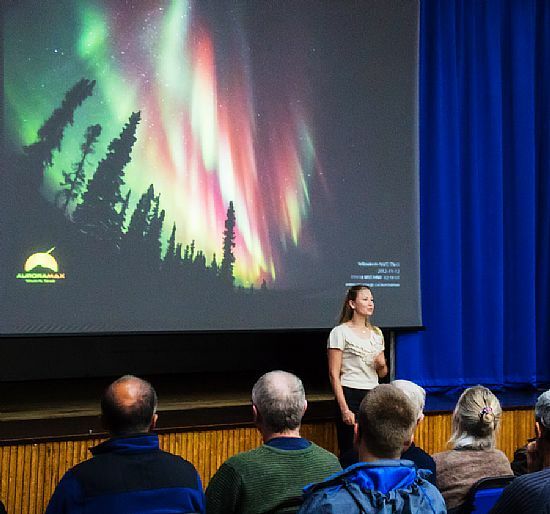 Dr Windridge had visted the area in 2015 to speak to CAG members about their experiences observing the aurora borealis from the northern reaches of mainland UK. 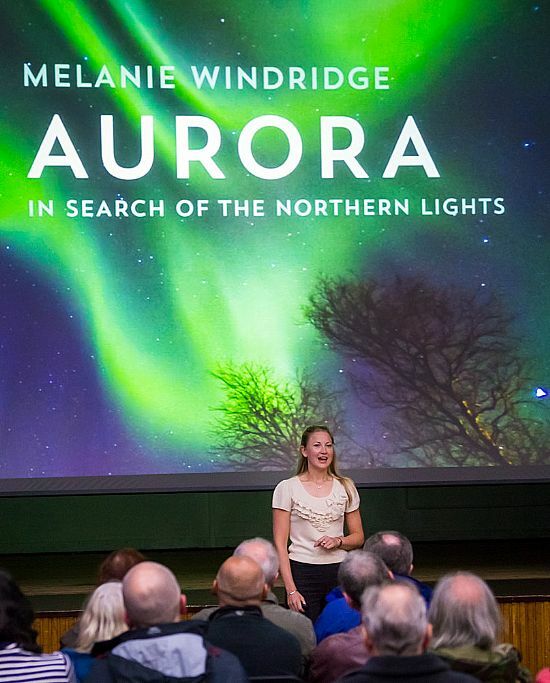 This was a small piece of the overall research that was to feed into her recently released book "Aurora: In Seach of the Northern Lights". 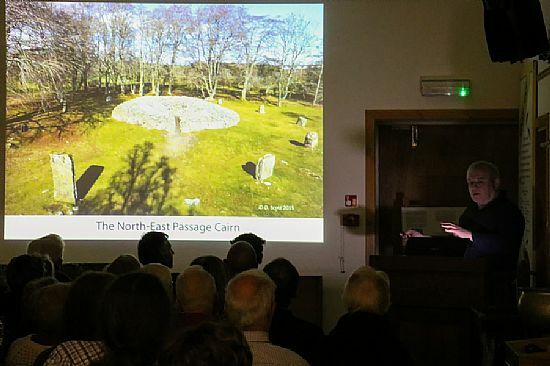 This visit saw Dr Windridge give a thoroughly engaging and informative talk covering the history, folklore and science behind the dancing lights often seen from the north of Scotland. 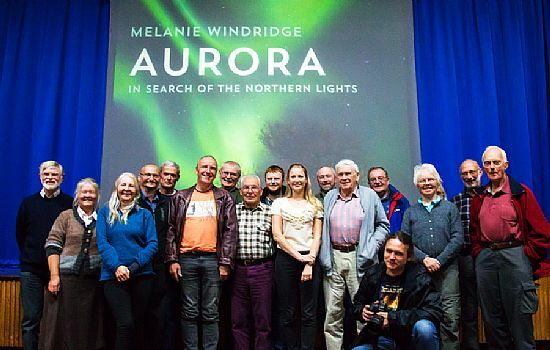 If you have any aurora stories you'd like to share with Dr Windridge then a link is available via her blog. 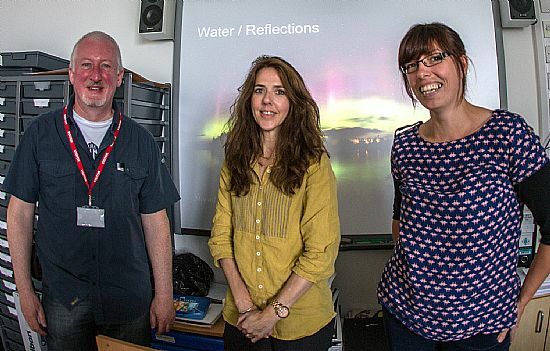 Caithness was the first stop by Dr Windridge in a mini tour of the north of Scotland, giving audiences an insight into the Northern Lights. 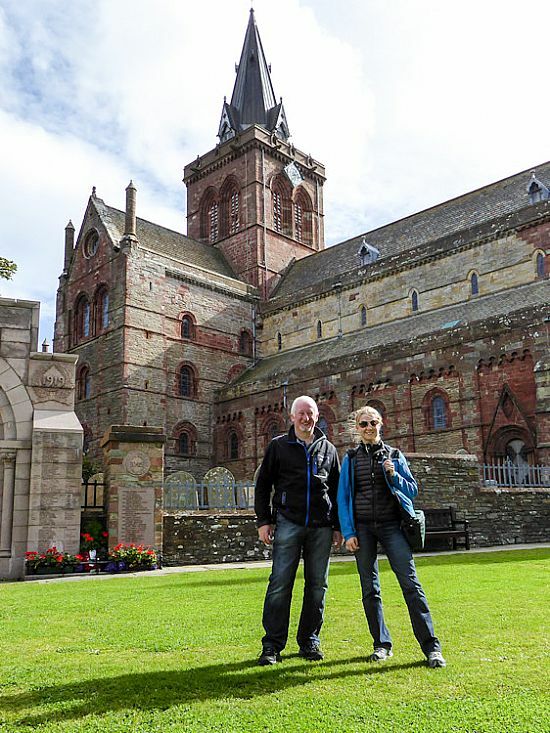 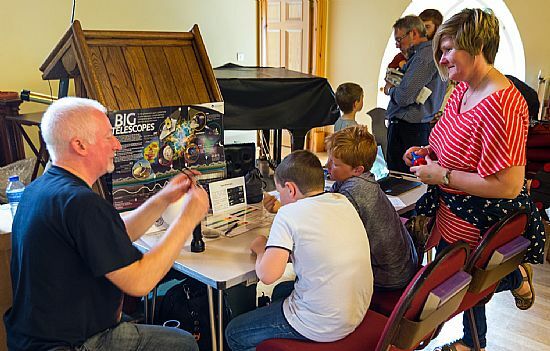 Her next venue was Kirkwall at the Orkney International Science Festival, where members of CAG would also be contributing at astronomy events. 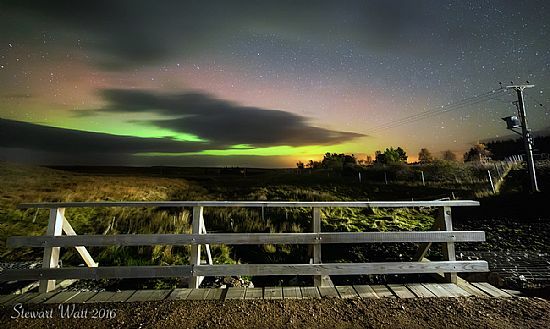 Cue the chance for some more aurora spotting opportunities and, for Melanie only (!) 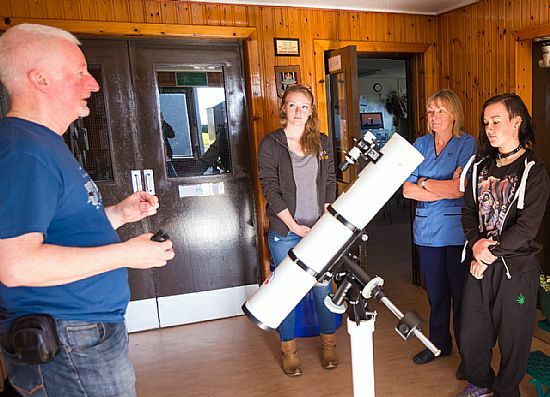 the chance to climb the dizzy heights of the Old Man of Hoy. 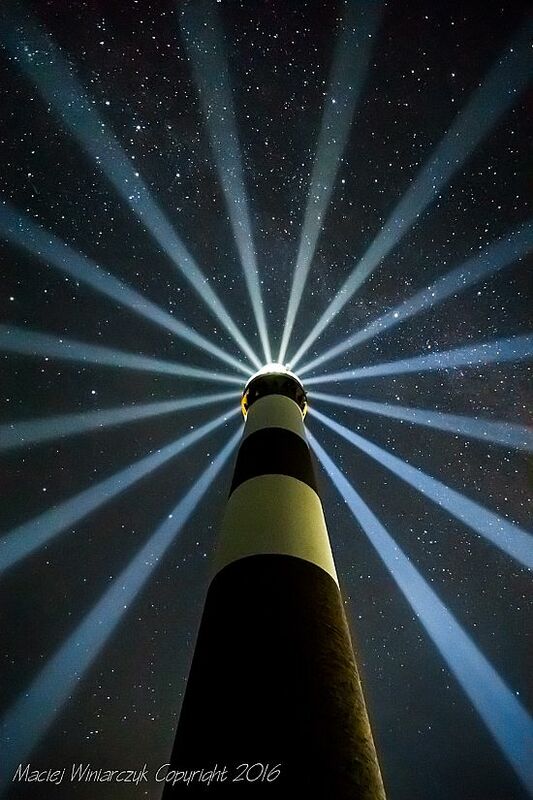 Congratulations on reaching the top! 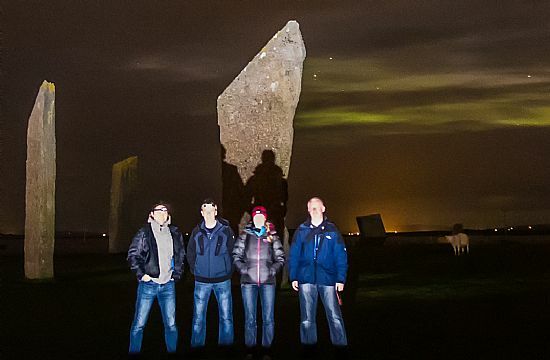 Stewart Watt, Maciej Winiarczyk and Gordon Mackie from CAG crossed the Pentland Firth this year to contribute to the extensive programme of events organised for the science festival. 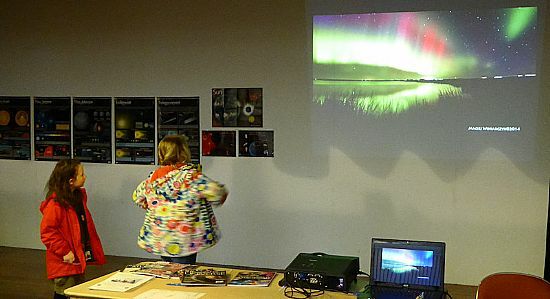 Our involvement included talks at an astronomy night in Hoy, the Family Day event in Kirkwall, a telescope workshop and evening talk / observing session in North Ronaldsay, and to round off a thoroughly enjoyable weekend there was a session in Kirkwall Grammar School discussing night sky photography with an art class. 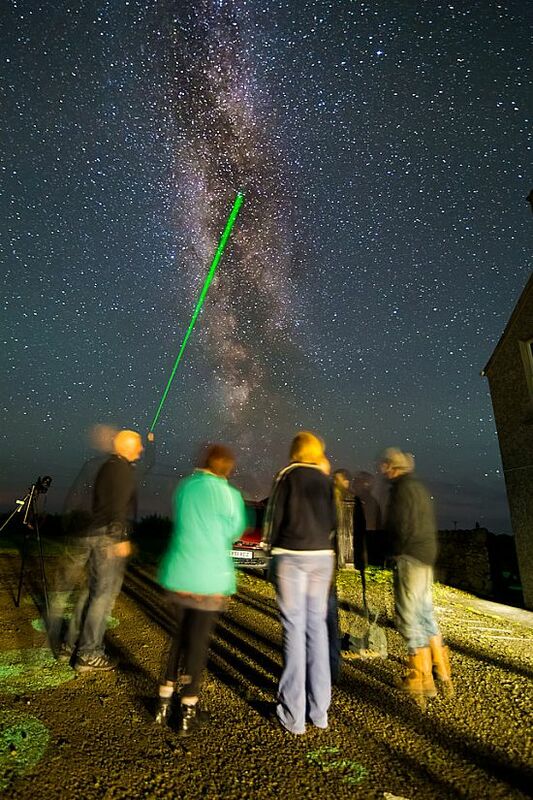 Breaks in the cloud also afforded some observing and photography to be undertaken by members. 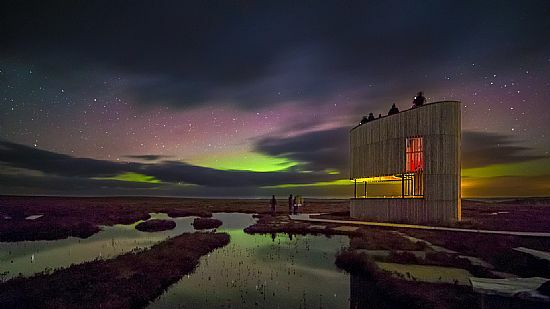 Following a successful stargazing event last year at the stunningly dark location of Forsinard, in the neighbouring county of Sutherland, CAG once again teamed up with the RSPB to put on a free public event at their new Field Centre and Observation Tower in the heart of the Flow Country. 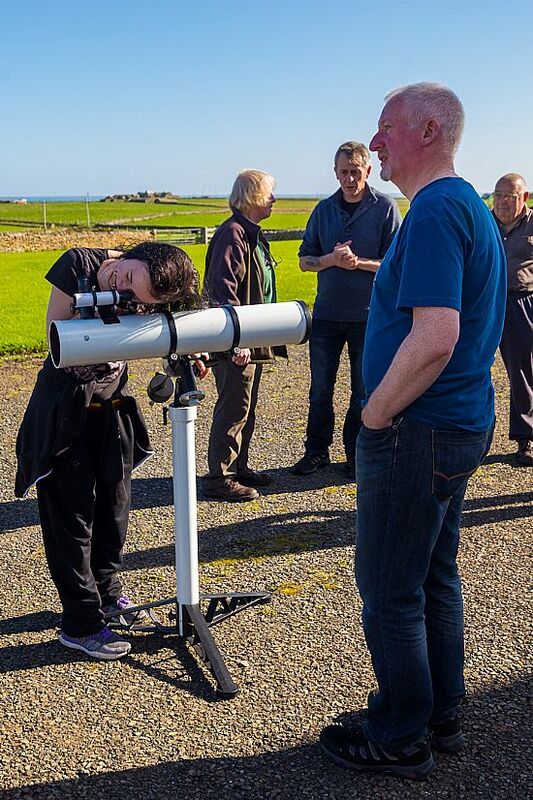 CAG Chairman Gordon Mackie paid a visit to the Murkle WRI to give a talk on what can be seen in the night sky from northern Scotland with the naked eye or using basic observing equipment. 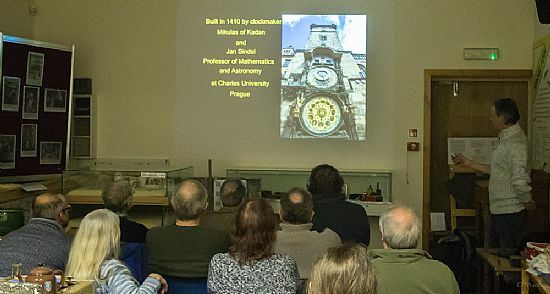 A few days before the largest supermoon in many decades, CAG Chairman Gordon Mackie gave a talk on our nearest celestial neighbour, The Moon. 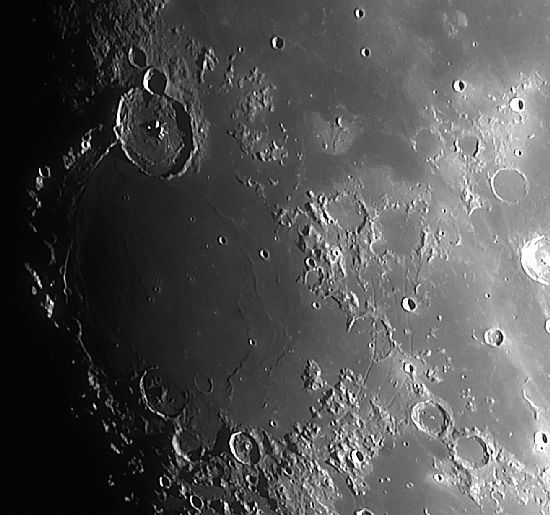 The above lunar images were obtained through a small telescope by Gordon Mackie, and show the sort of detailed views of the lunar surface that can be enjoyed through amateur telescopes. 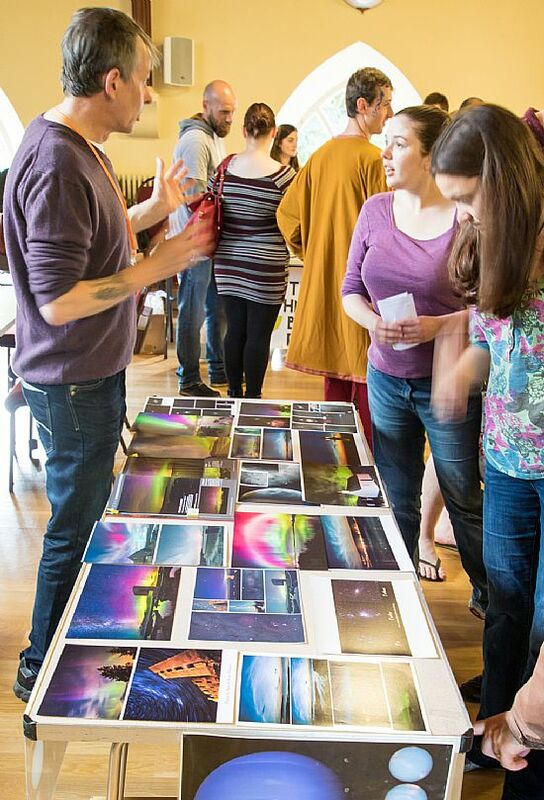 Images in the above records of CAG events were taken by Gordon Mackie unless otherwise credited.